DAVID LE/Staff photo. 3/13/15. 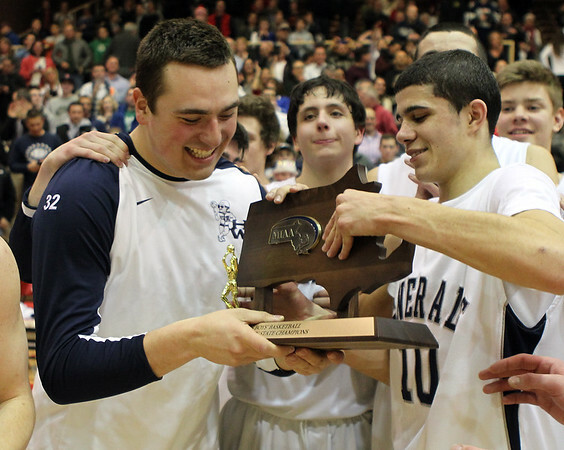 Hamilton-Wenham senior Nolan Wilson, left, and sophomore Marcus Zegarowski hold the D4 State Championship trophy together after the Generals' 59-50 win over Sutton in the D4 State Championship at WPI in Worcester on Friday evening.